Does Landscaping Increase the Value of Your Home? | What's Moving Durham? Spring is in the air and soon there will be a mad rush of people heading to the local nursery spending a lot of money for plants, flowers, top soil, and many other gardening items. But does landscaping increase the value of your home? According to a Publication from Virginia Tech, it does! As much as 15% of the home’s perceived value can be attributed to a well-manicured and attractive landscaped home. Whether you try to tackle this on your own or hire a professional, it is important to know exactly where to spend you hard earned money. A survey shows that Design sophistication ranked as the most important element to adding value while diversity of plants ranked the lowest. 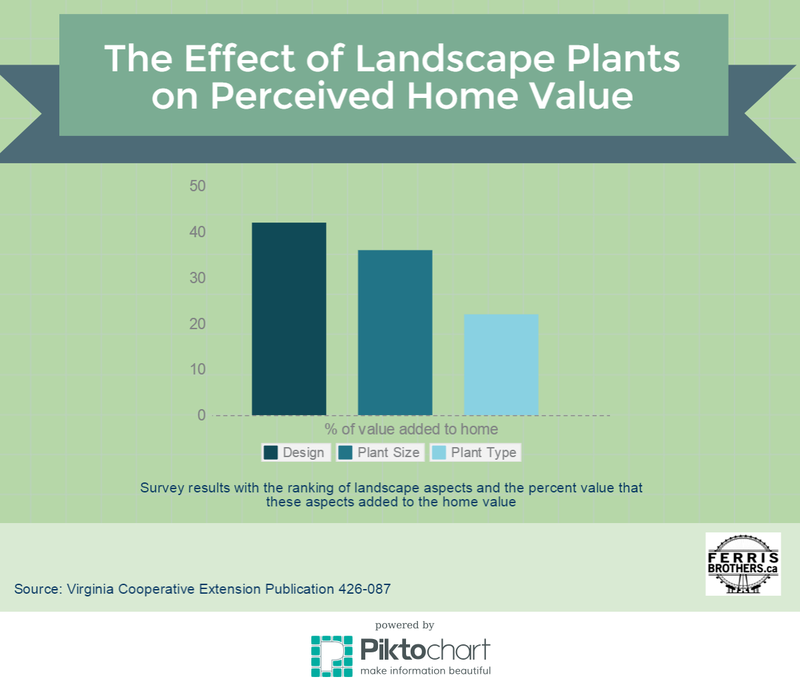 The results showed that a beautifully landscaped home significantly increased the perceived value of a home and will ultimately sell at a higher price than a home with little landscaping. This is a great article as we move into the spring and begin making decisions about curb appeal choices. Check it out! I hope that you find this as helpful as I did! I’d better hire someone! I do NOT have a green thumb!